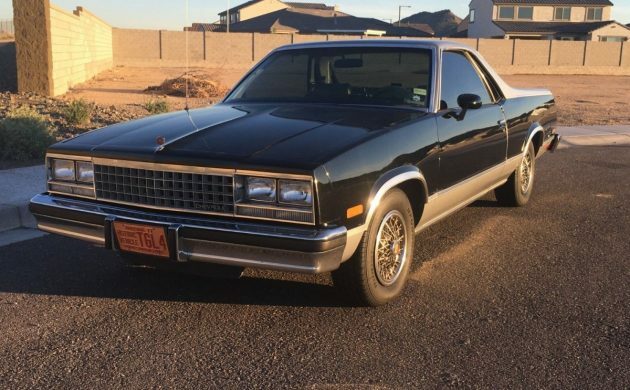 Having been owned by three generations of the same family, the time has come for this 1984 El Camino Conquista to find a new family to take care of. 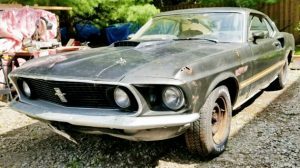 It is not perfect, but this California car has very few rust issues and is being sold with a clear title. 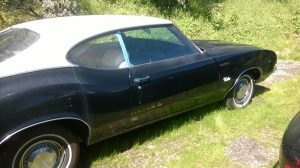 You will find the El Camino listed for sale here on eBay. The paint on the El Camino is not original. The vehicle underwent a repaint around 25-years ago, and it has largely held up quite well. There are plenty of shots of the underside of the car, and it looks very clean. There is rust in the bottoms of both doors, and this has impacted into the seams of the doors. The tailgate has also been a victim of the dreaded car-park wars, and the damage inflicted means that the tailgate no longer opens. While the interior is generally really good, the seat will require some hard work to get it clean. 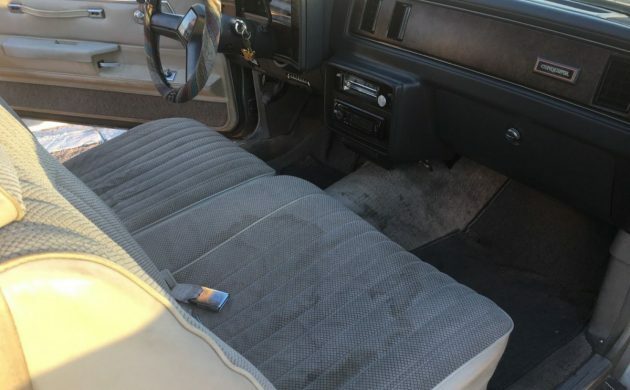 It’s hard to tell whether the seat is actually stained, or whether it can be cleaned successfully. The rest of the interior has held up really well, and I noticed that an aftermarket CD player has been fitted into the dash. The vehicle is also fitted with air conditioning. This has been converted to 134 and fitted with a new compressor, and the owner says that it blows really cold. Being a California vehicle, the El Camino is fitted with a 231ci Buick V6 engine and 3-speed Turbo-Hydramatic transmission. The engine bay looks quite tidy, and there are no indications of any nasty surprises lurking there. It’s a bit dusty, but that’s not surprising on a car of this age. I would probably be a bit suspicious if the engine was spotlessly clean. 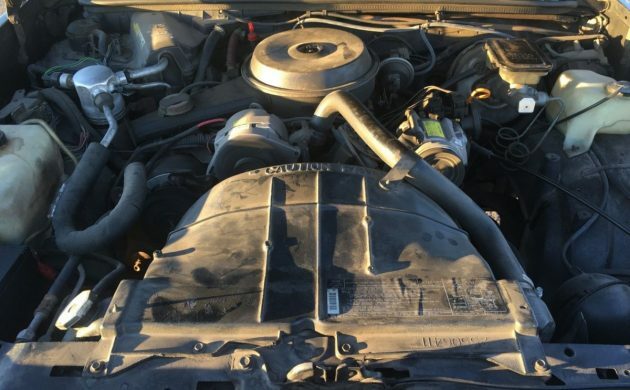 The owner says that the car runs and drives really well. 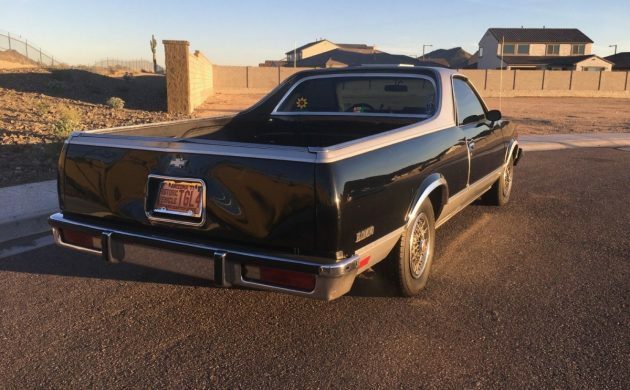 Bidding on this El Camino has been solid, but not spectacular. Having said that, we are less than 2 days into a 10-day auction, so I would expect the pace to pick up a bit. Still, there have been 8 separate bidders up until now, and while the price is sitting at $580, the reserve hasn’t been met. 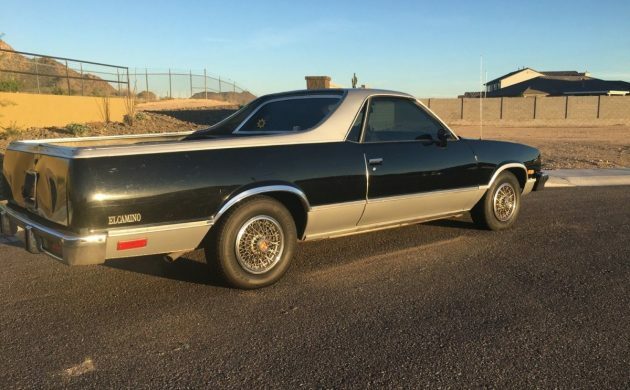 The owner has stated clearly that he has priced this El Camino to sell, so it will be interesting to see what the reserve actually turns out to be. “Having been owned by three generations of the same family” hence “Third Generation Car” . Adam didn’t say it was a Gen 3 El Camino. It’s a shame to see it leave the family ownership, especially after three generations. If times are tough, fair enough… but I couldn’t bring myself to it for any other reason. Who is the Adopted kid Selling it ??? I guess I am the adopted kid selling it. The owner and I went to grade school together which has been a while. We are both 50 now. Truth be told she was one of my grade school crushes. Her kids have driven it while both in high school,but now it just sits. It drives very well. 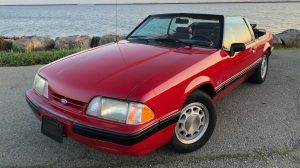 It could use some love as far as the body and cleaning up the interior, but generally speaking its a great inexpensive old car that is practical. Here is a google album with a bunch of pics showing the good and the bad. The family does hope it goes to an appreciative home. 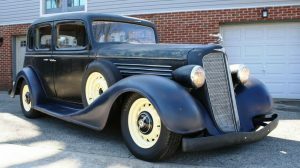 Who was the third generation that owned it?